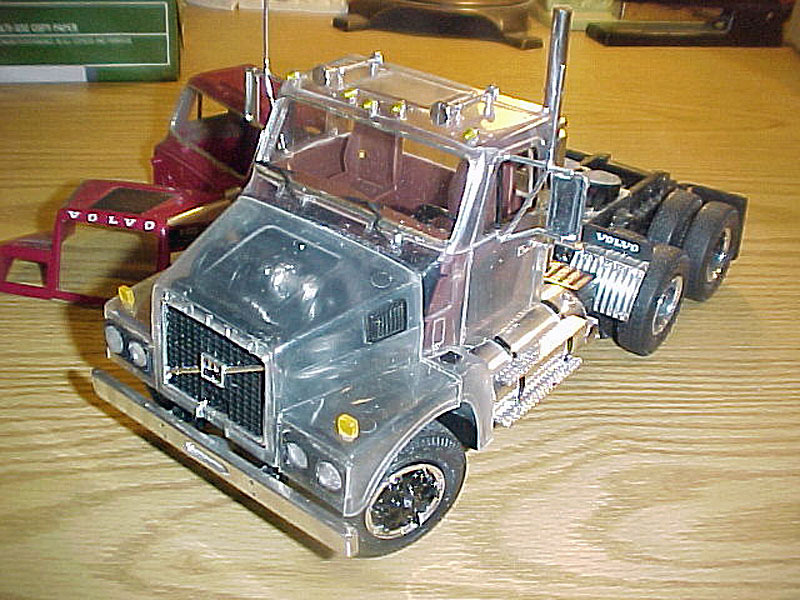 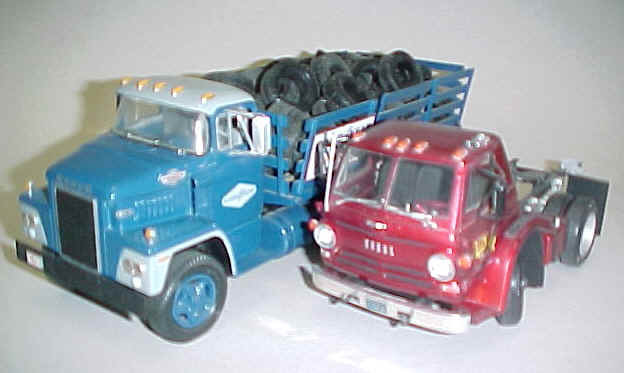 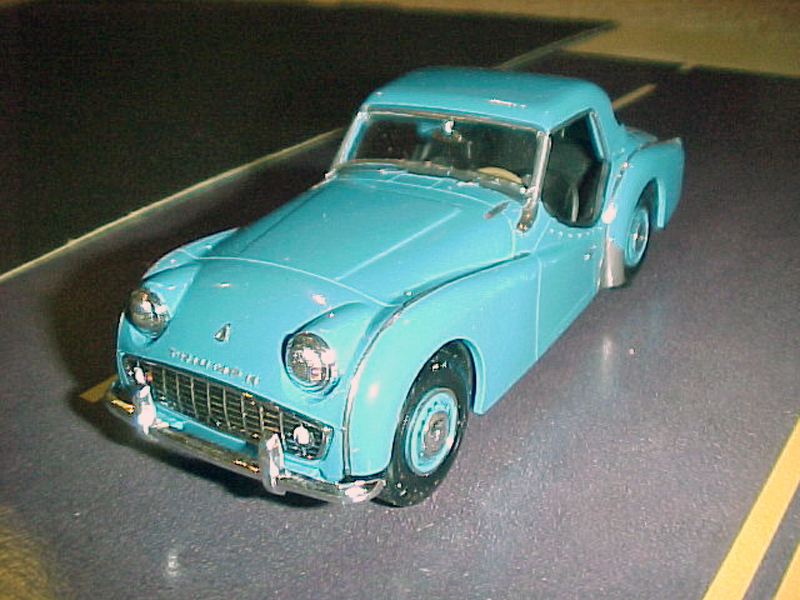 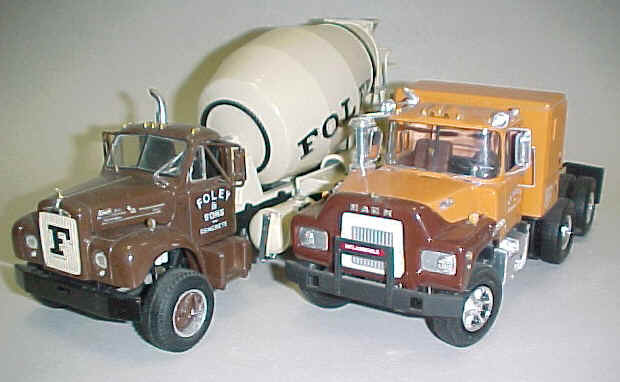 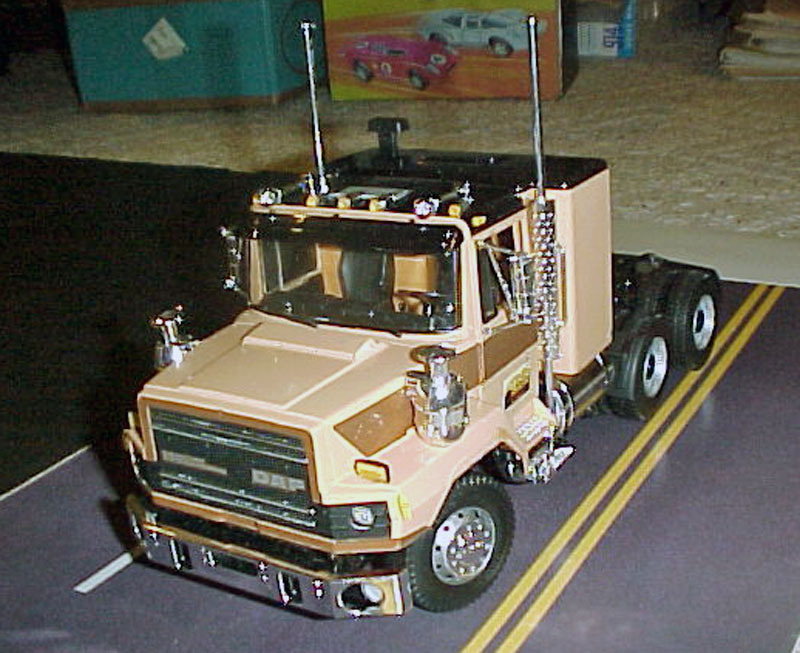 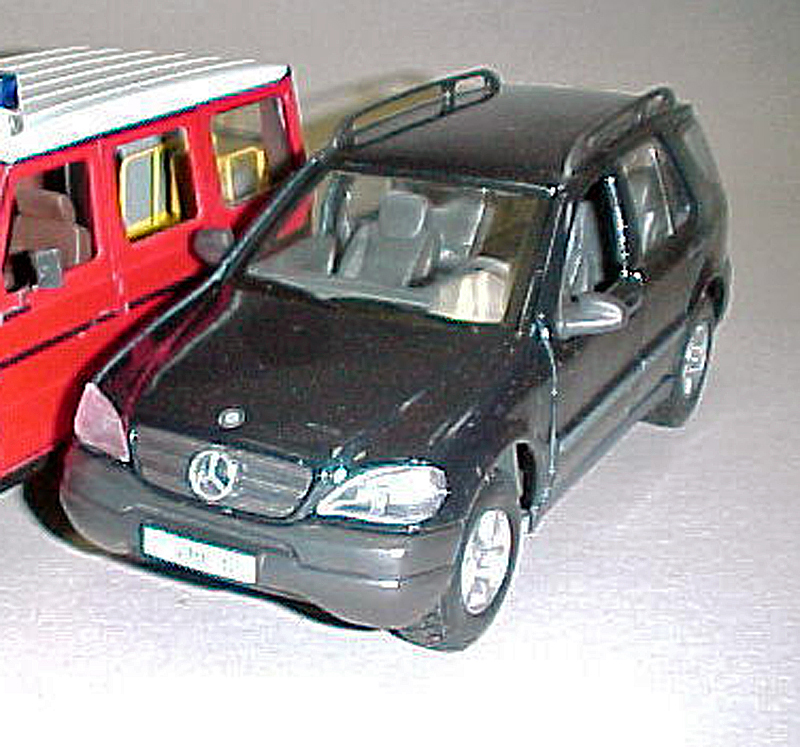 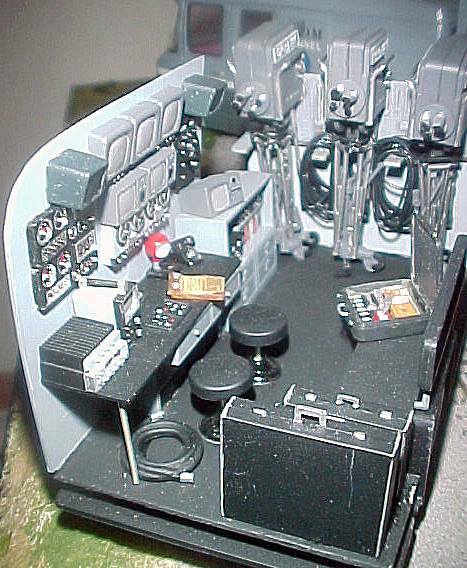 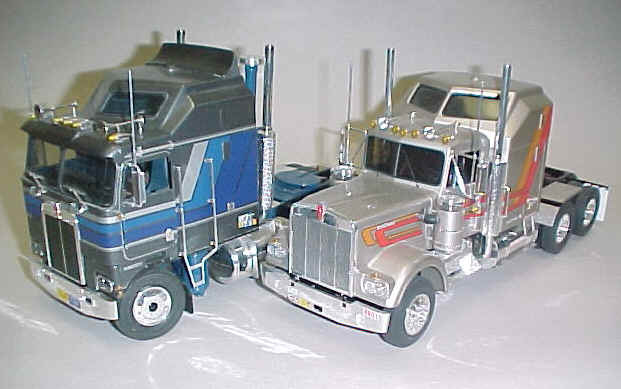 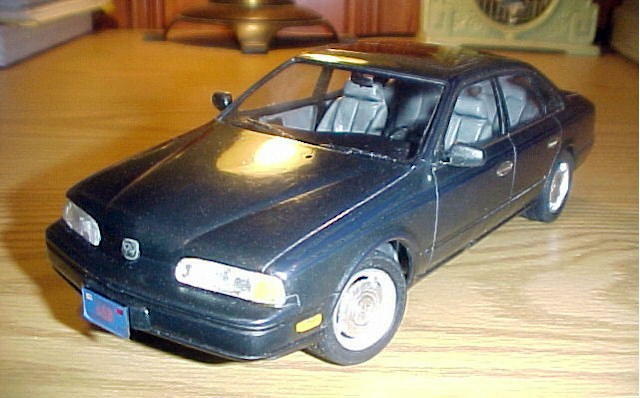 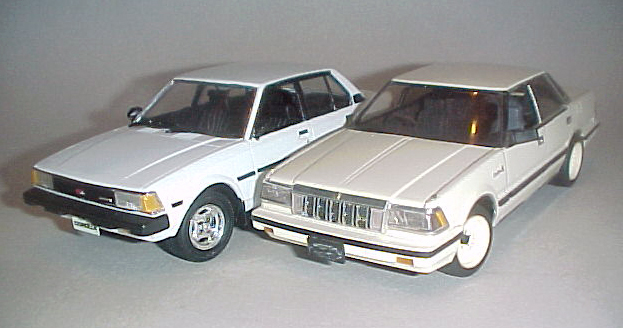 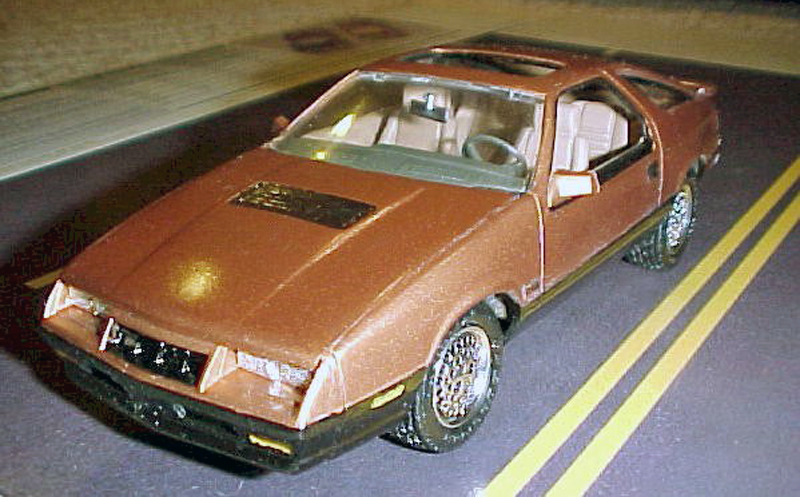 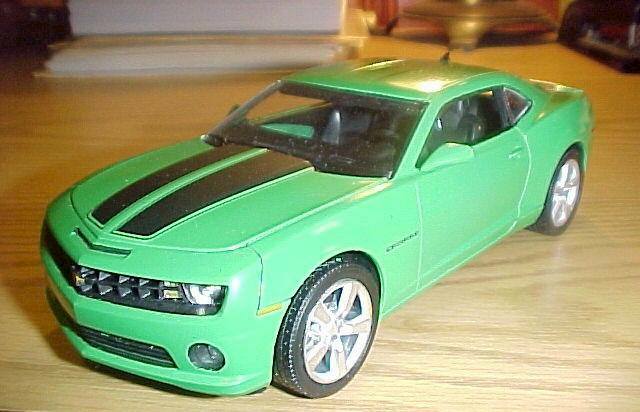 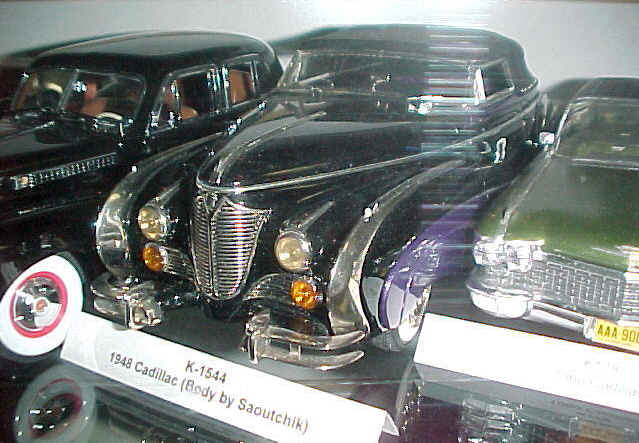 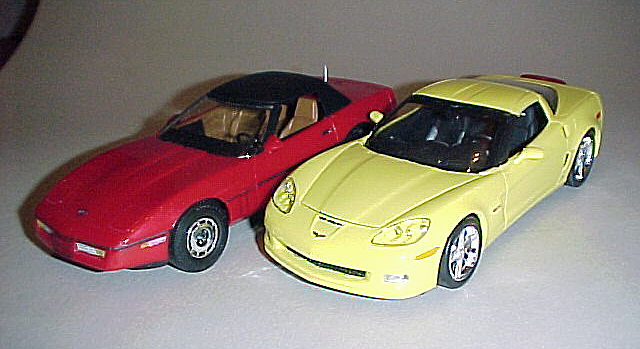 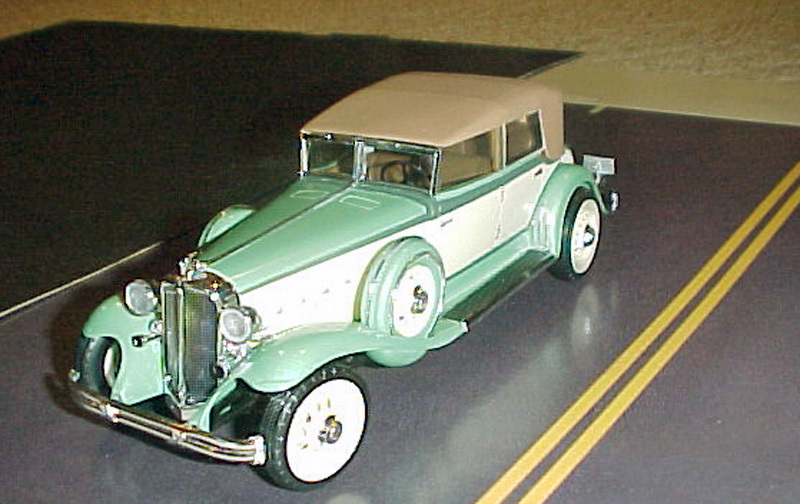 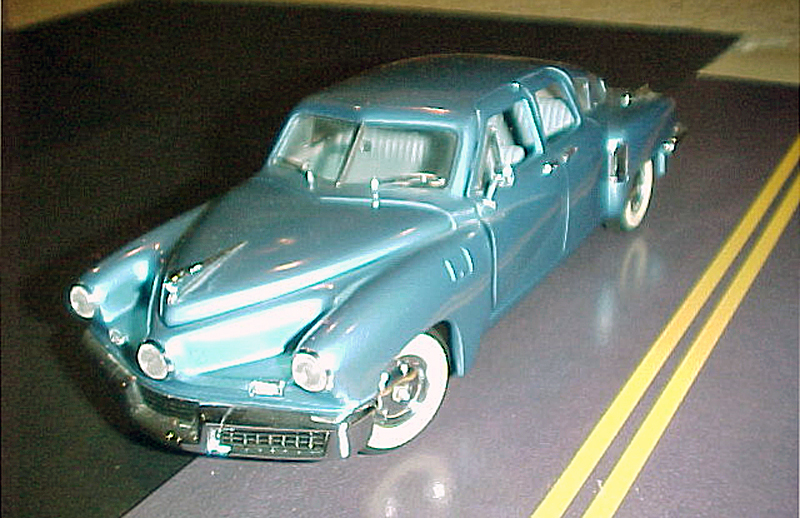 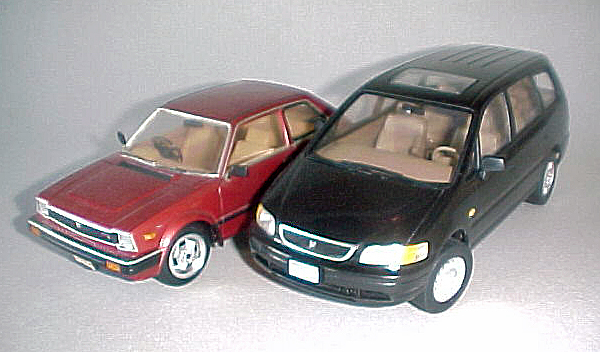 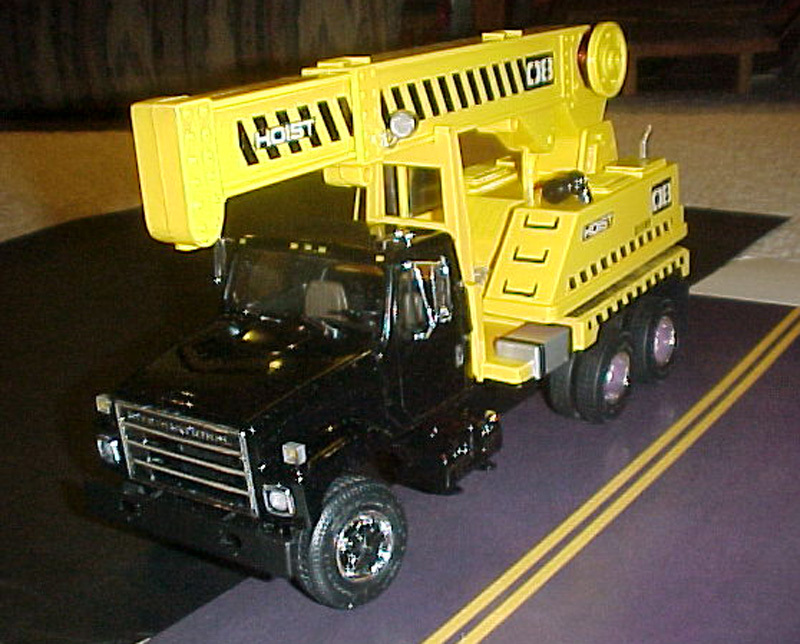 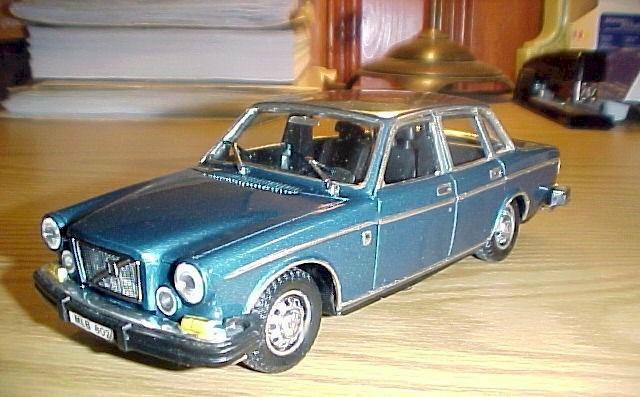 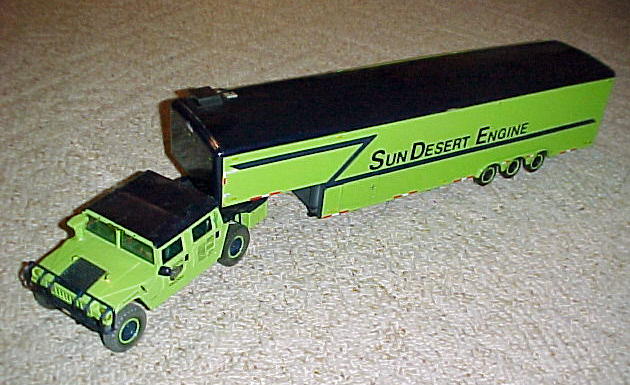 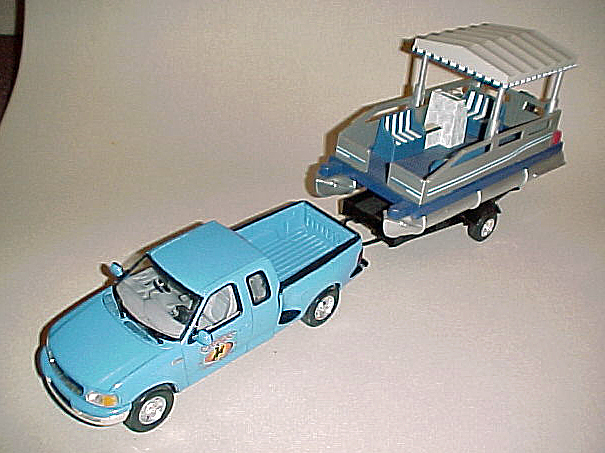 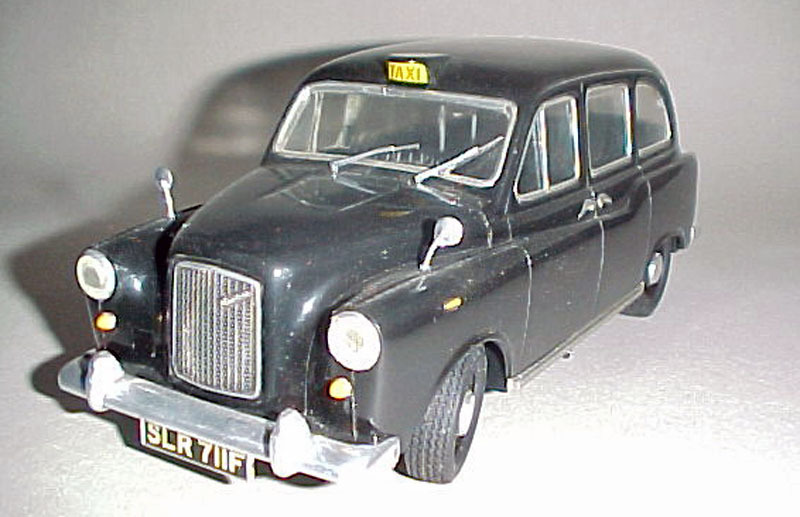 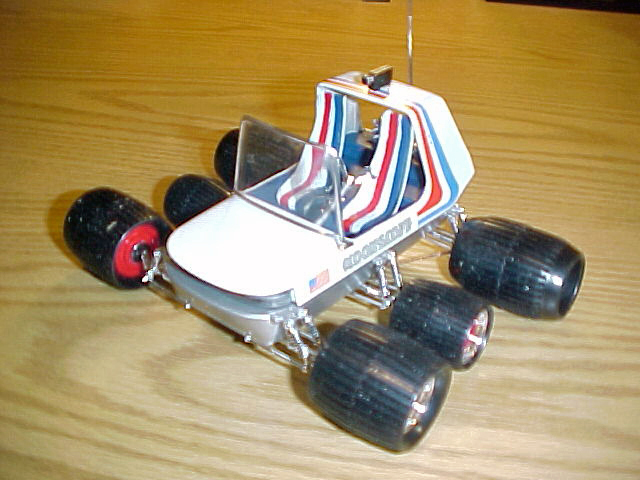 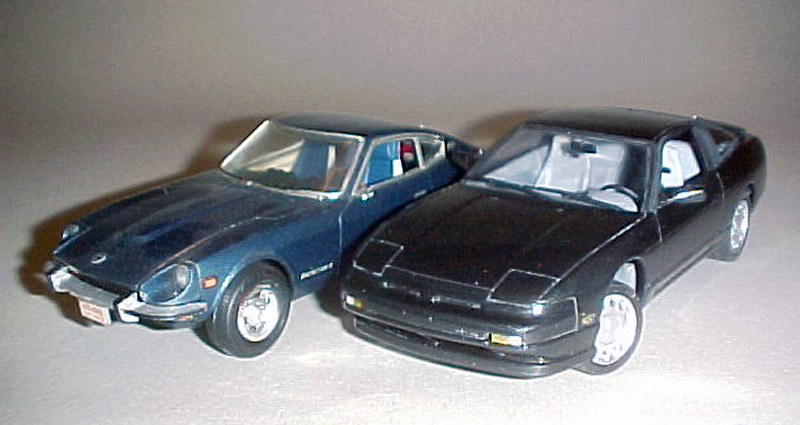 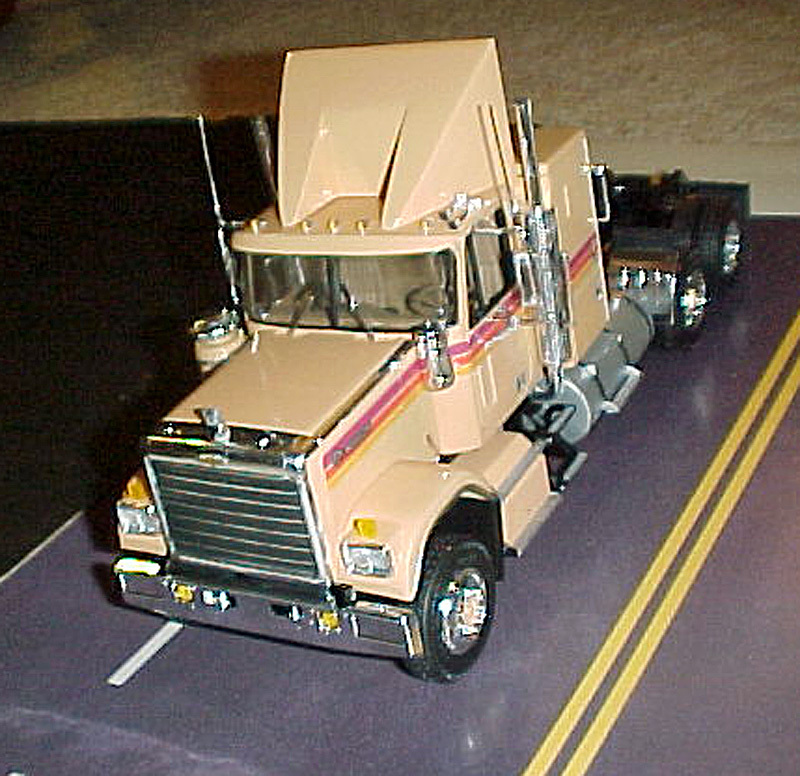 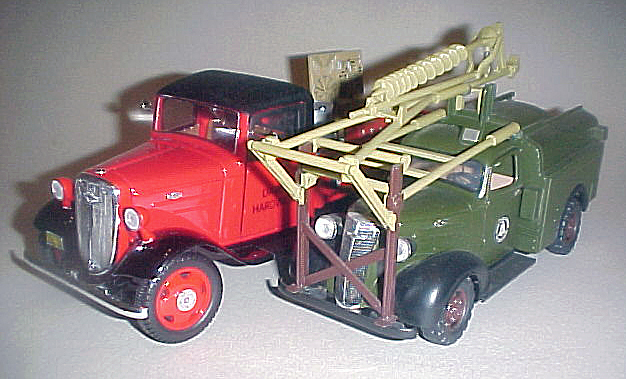 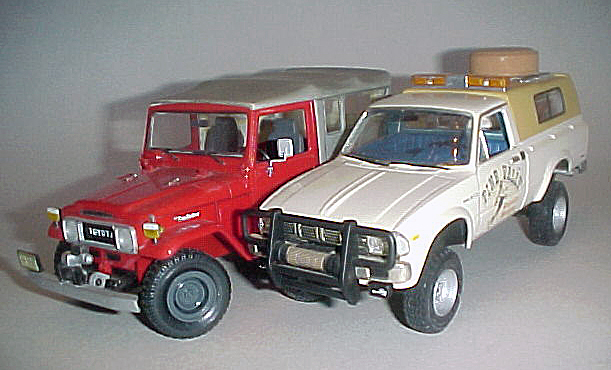 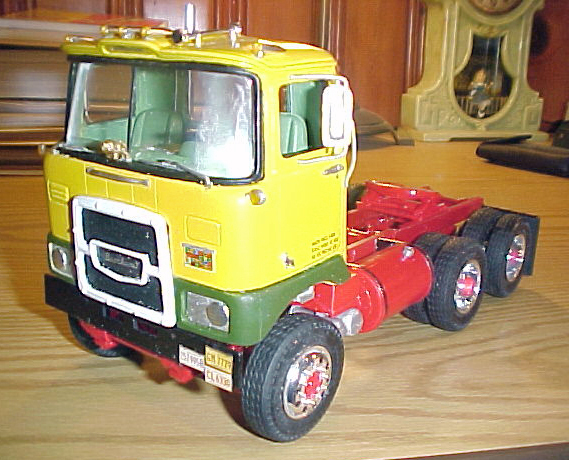 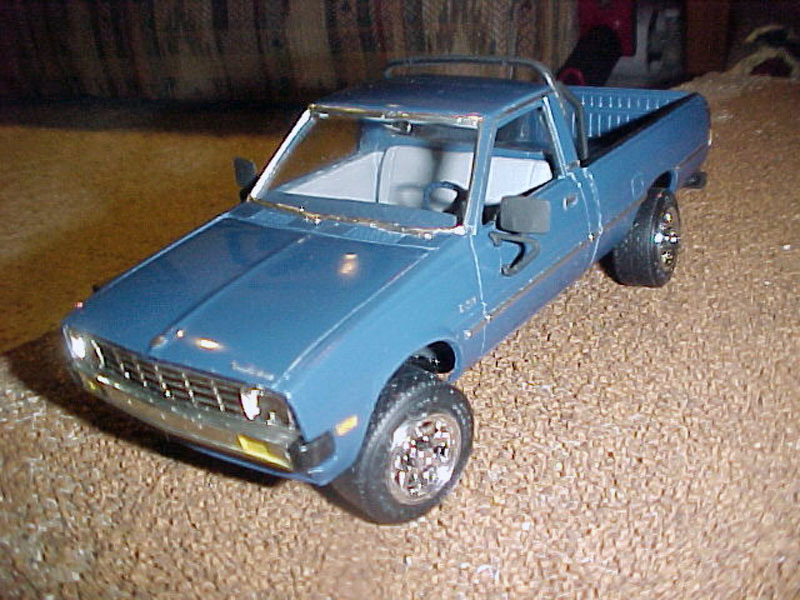 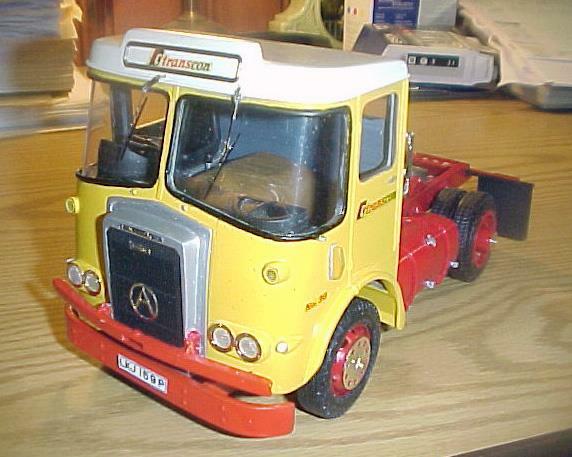 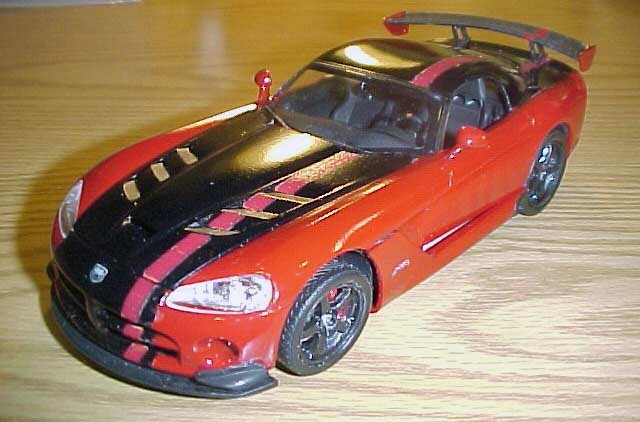 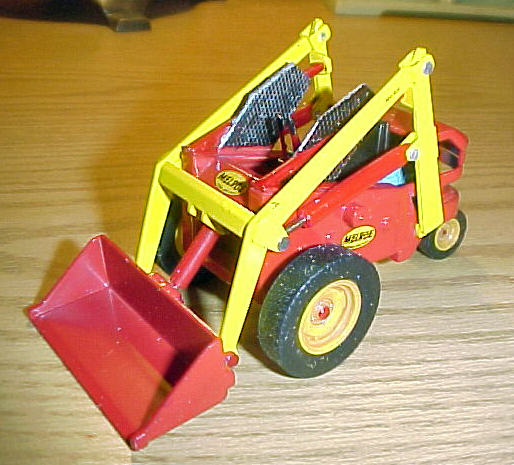 This page contains built vehicle models featuring plastic model kits and toys in addition to assorted diecast models. 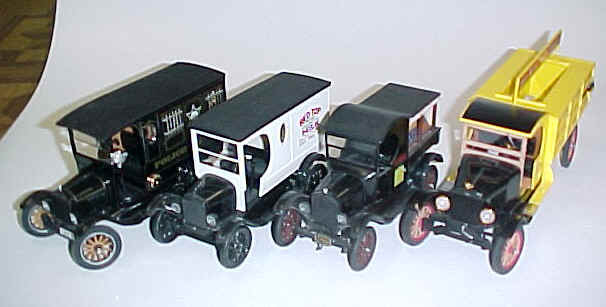 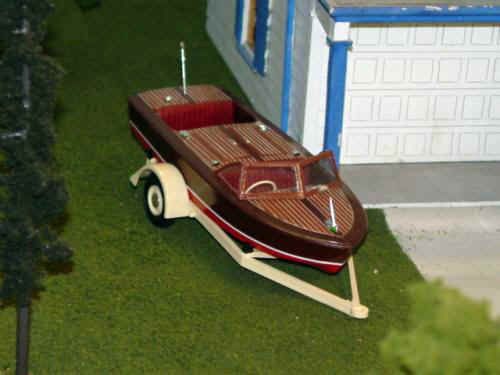 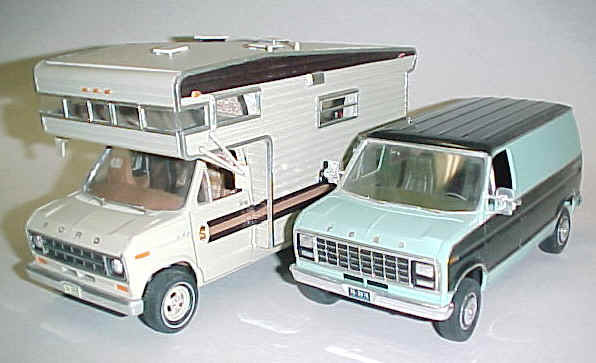 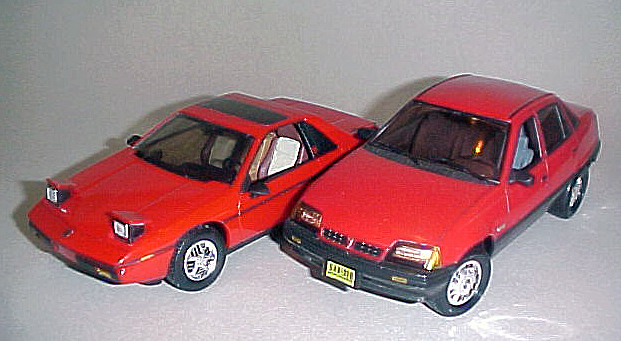 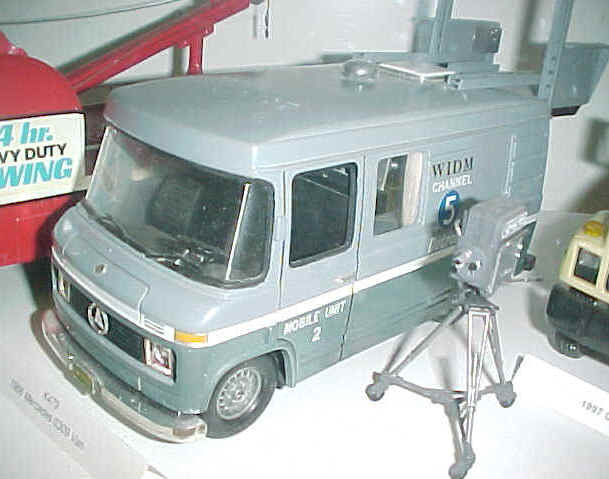 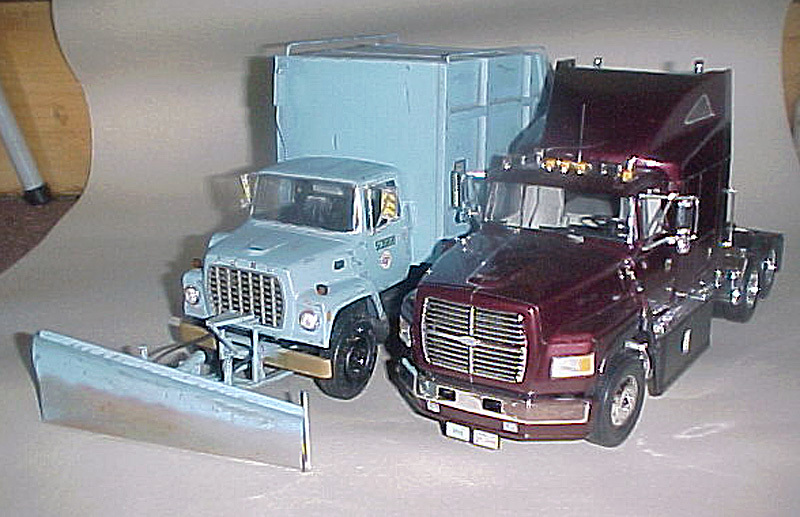 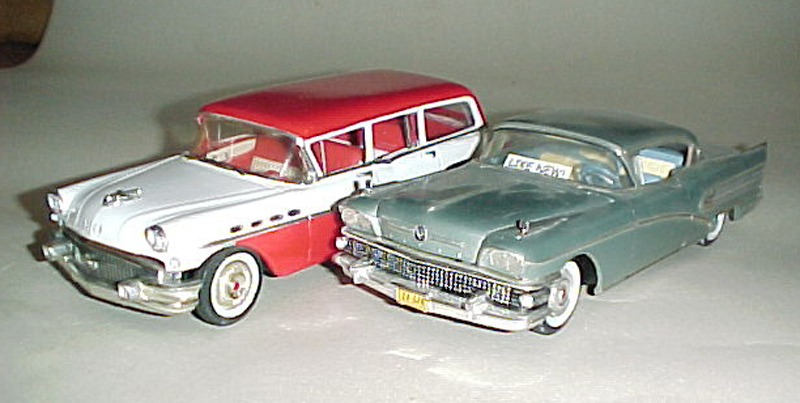 All models are in the 1/24th-1/25th scale. 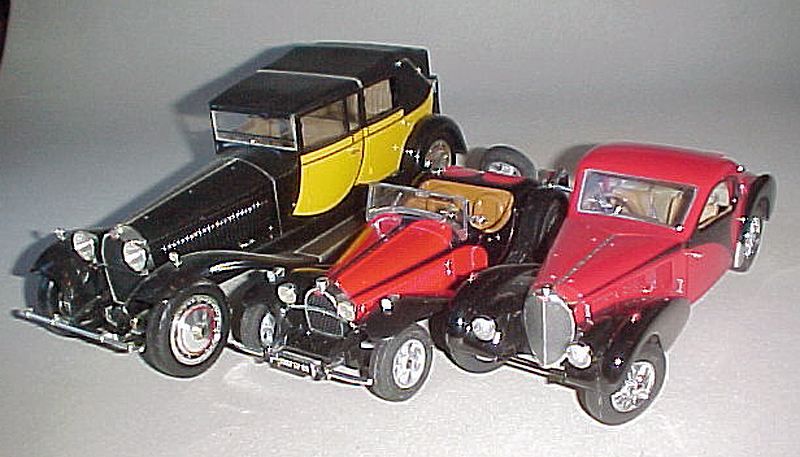 I also BUY single model kits or whole collections, so if you've got some to sell or trade, let me know !! 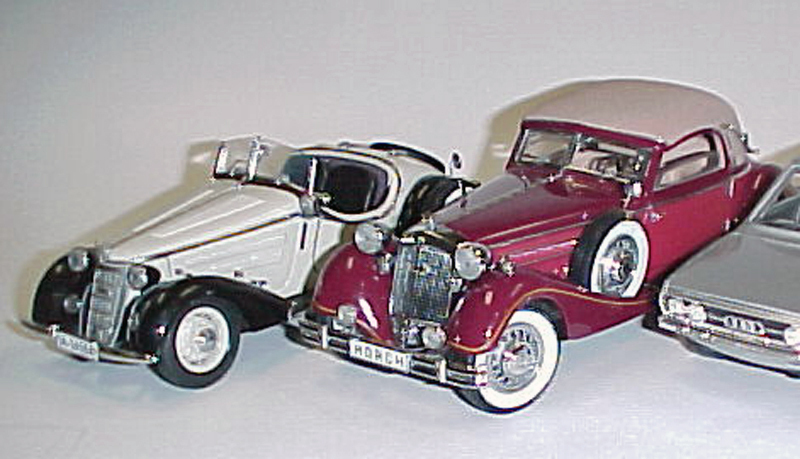 (Several people have offered to sell me some of the models they've noticed are missing from my line-up. 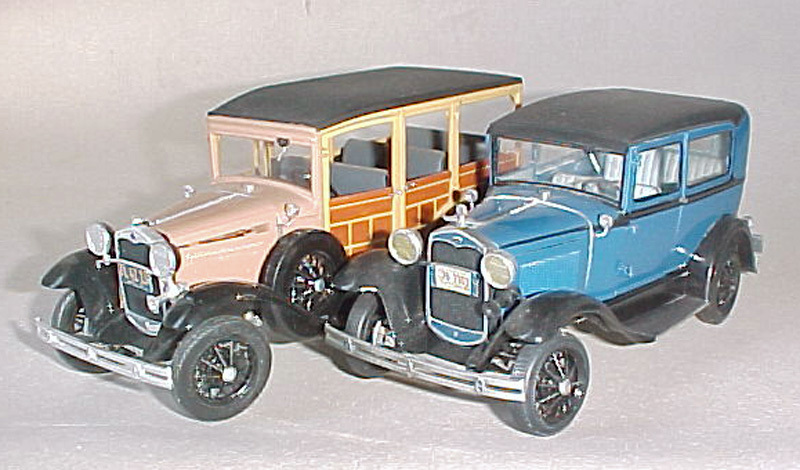 I should mention that I do in fact, have the cars to fill all the various holes, I just haven't had a chance to build them all yet. 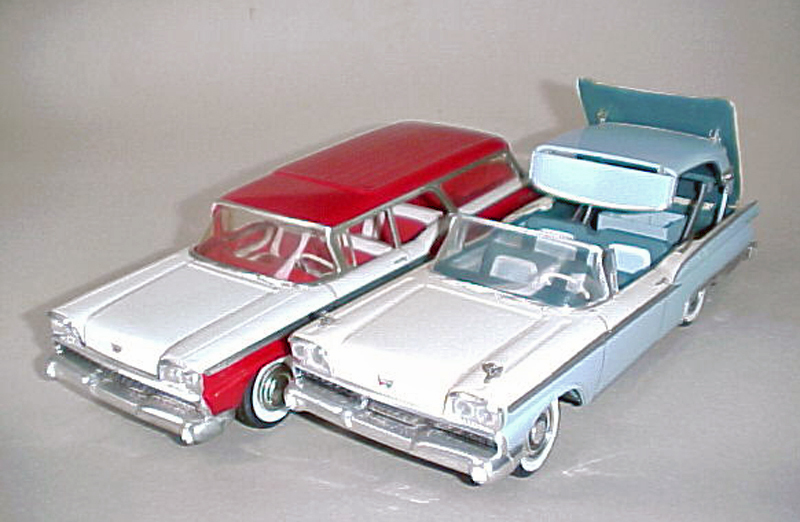 The new '63 Chevy's rolling into town. 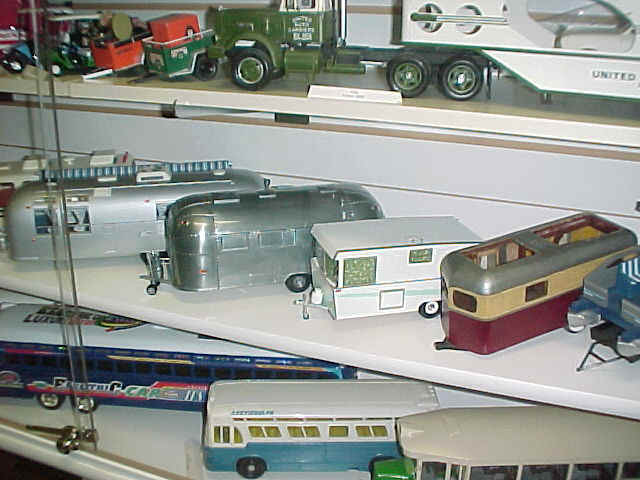 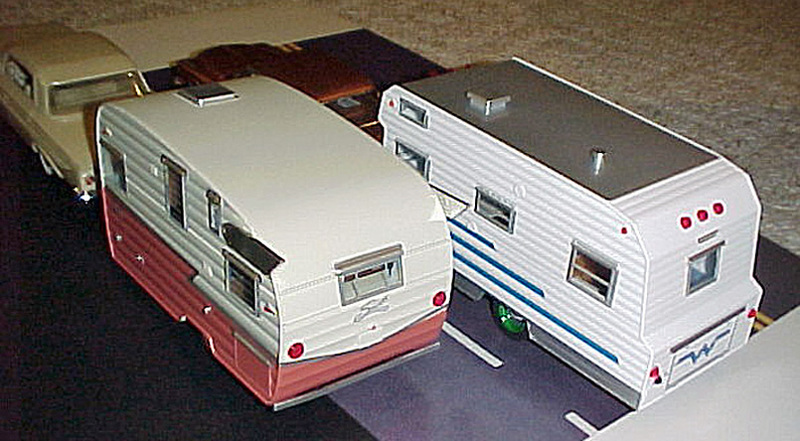 Assorted travel trailers. 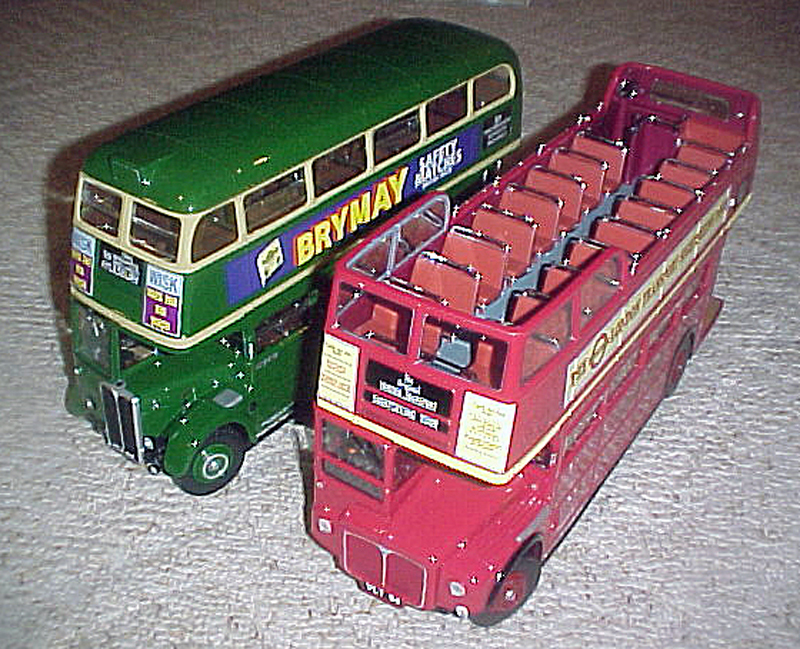 buses and even a boat. 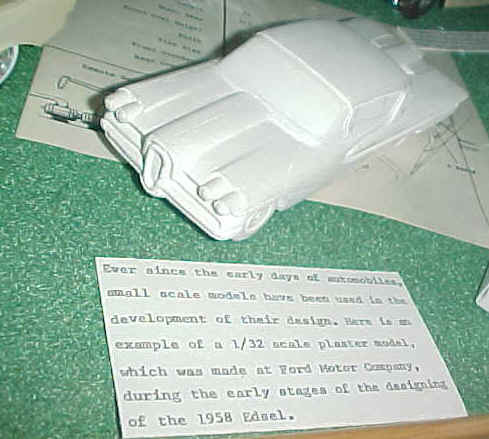 Development of a kit part. 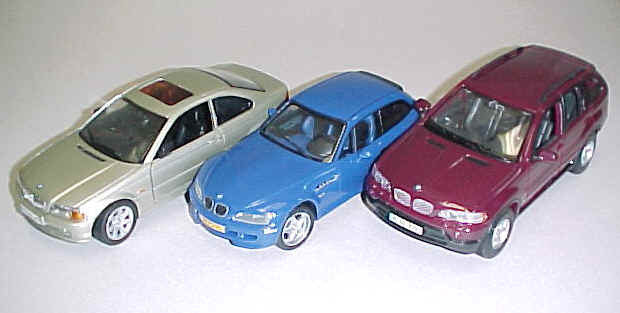 (Picture 1) On the right is the original 1/12th scale carved wood part, on the far left is the resin squeezing taken from the wood part, and in the center is the final plastic injection molded piece in 1/25 scale. 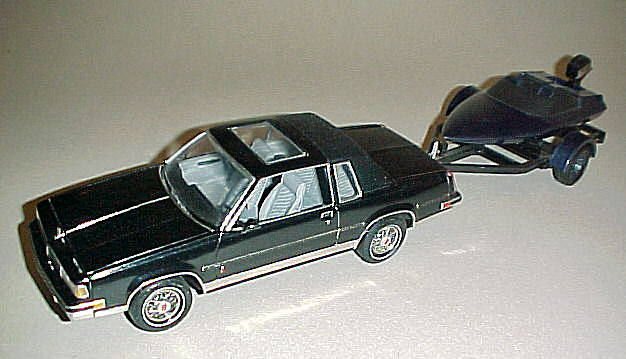 (Picture 2) The 1/12th scale resin body next to the 1/25th scale injection molded part. 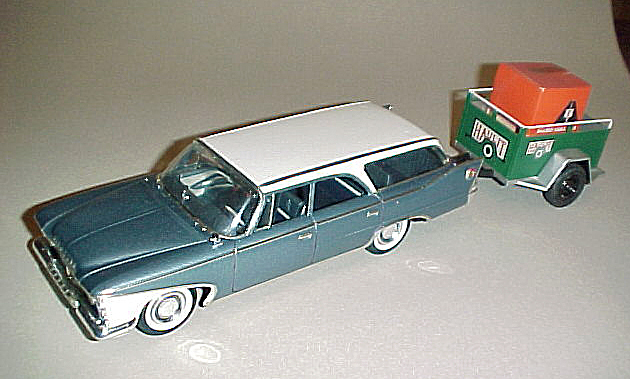 A portion of the 1/12 scale resin "squeezing" used to create the Revell '67 Dodge Coronet model. 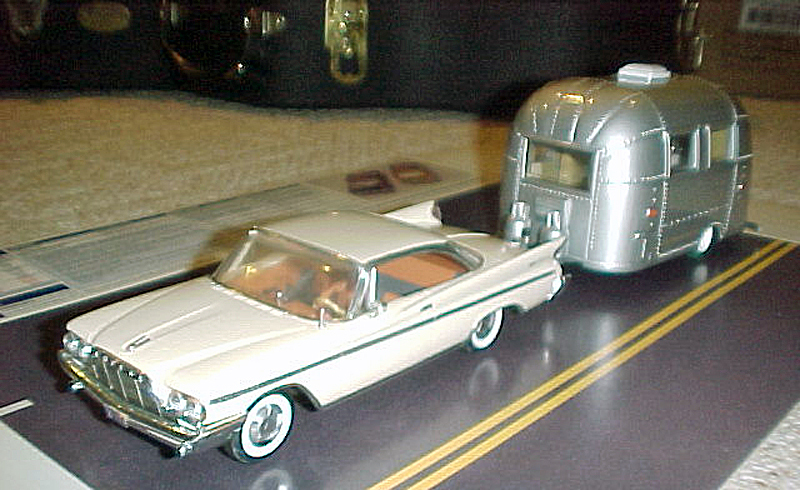 A multi-colored 1/25 scale test shot sits in the foreground. 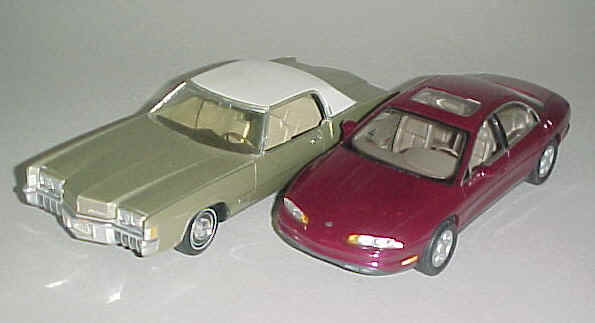 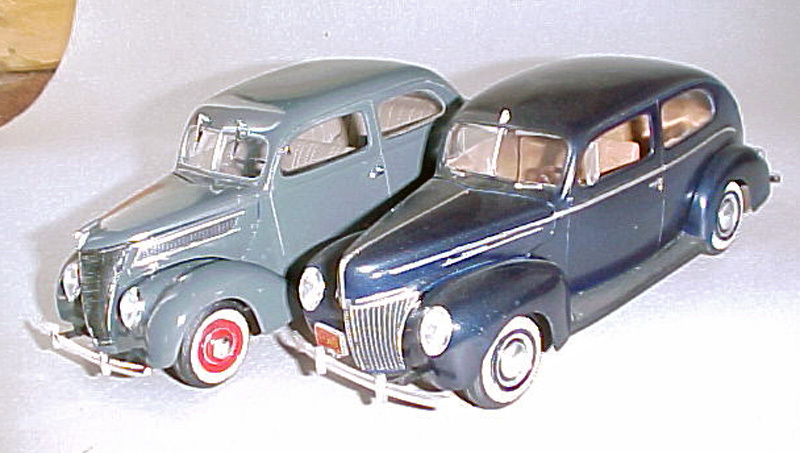 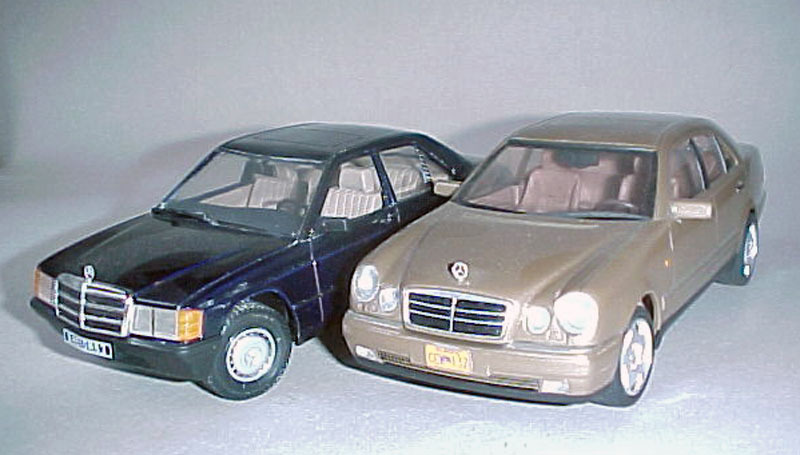 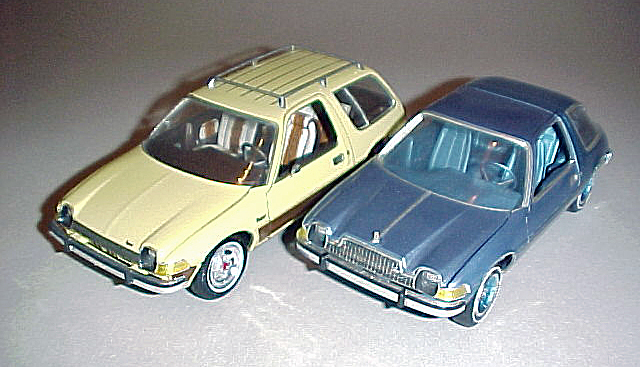 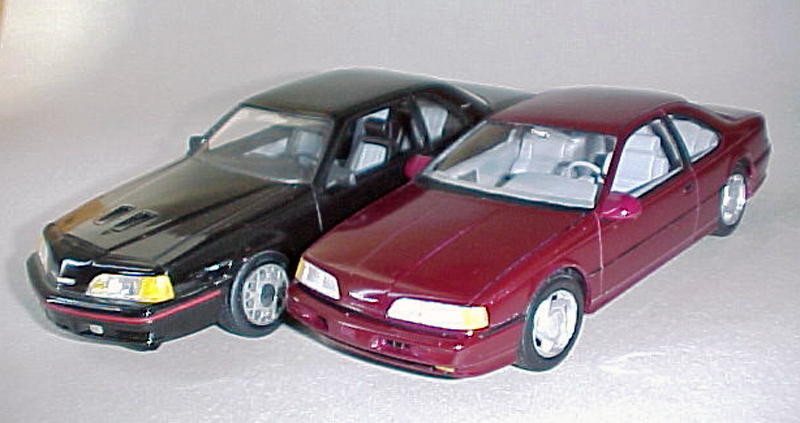 Early "test shots" of Revell-Monogram kits molded in unusual colors. 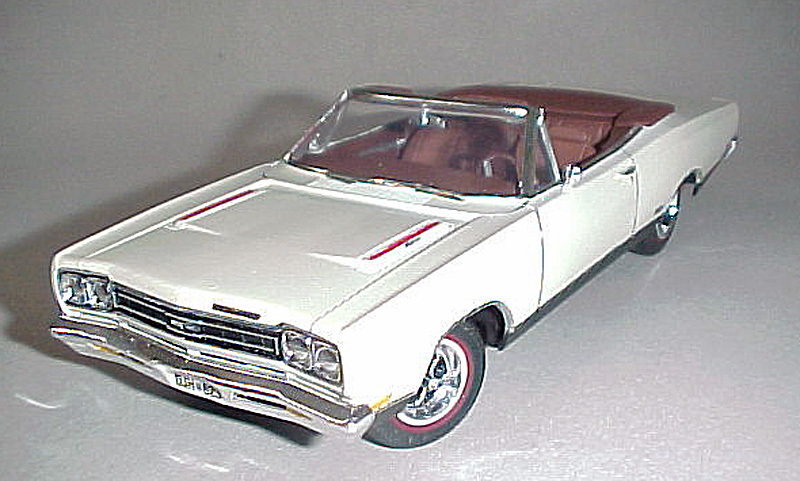 Notice the lack of grille detail in the '66 El Camino. 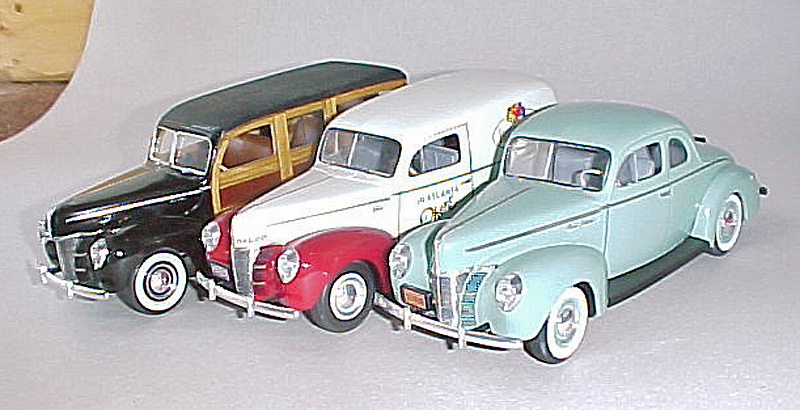 Promotional models have been popular since the late 1940s. 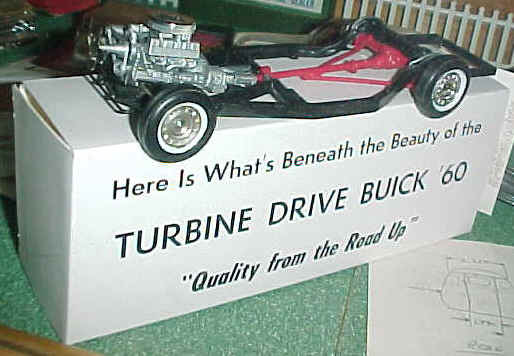 They are used largely to promote the real cars they represent. 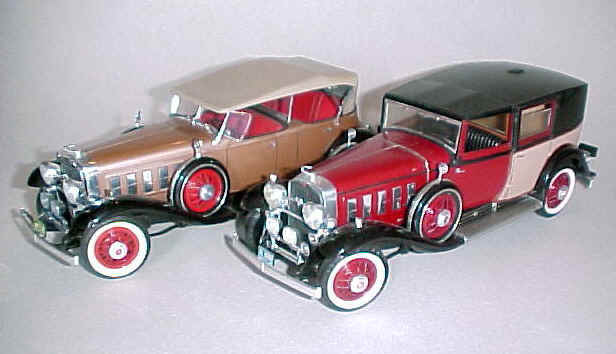 They are commonly pre-painted and pre-assembled versions of a regular model kit. 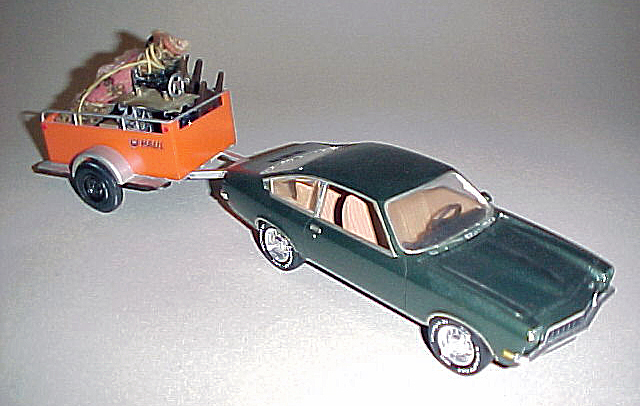 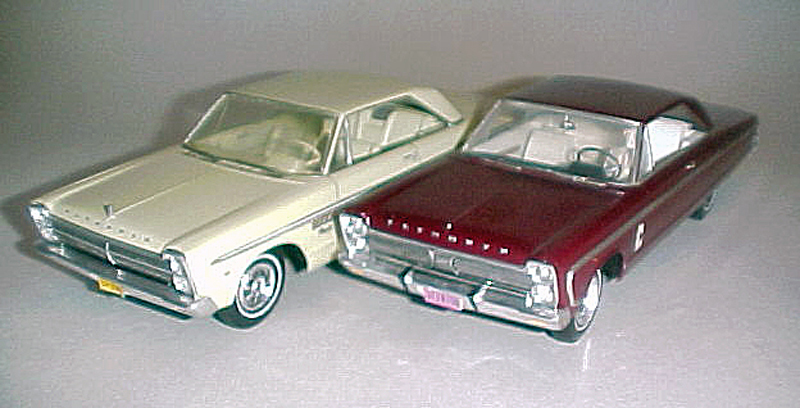 The Turbine Buick chassis and the Rambler Unit body models pictured here were a departure from the norm, however. 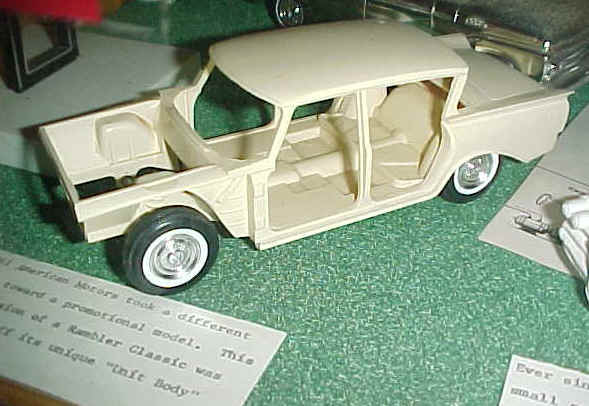 The plaster model in the center was an early Edsel design study done at Ford Motor Co. in the mid-1950s. 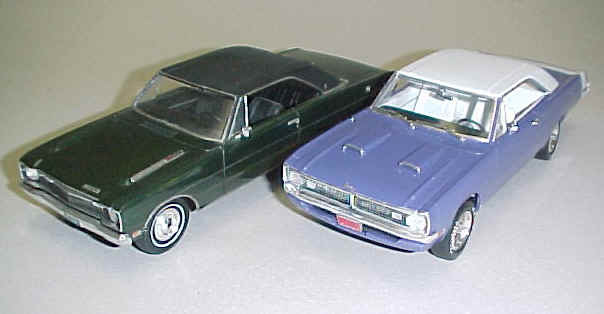 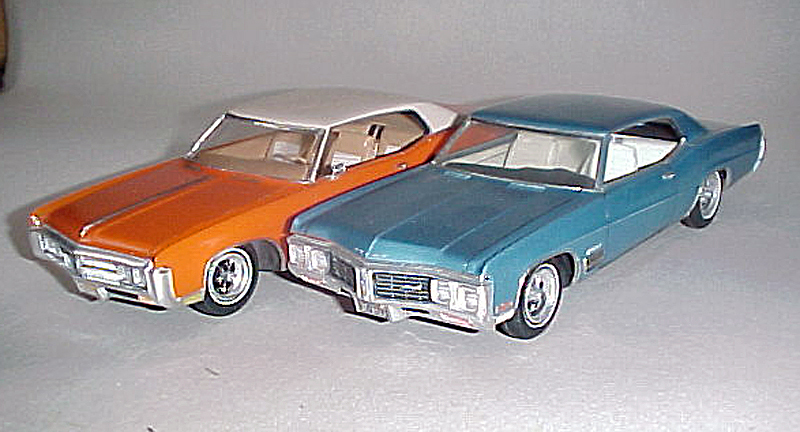 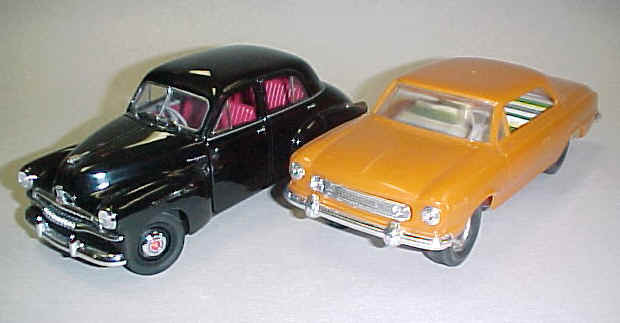 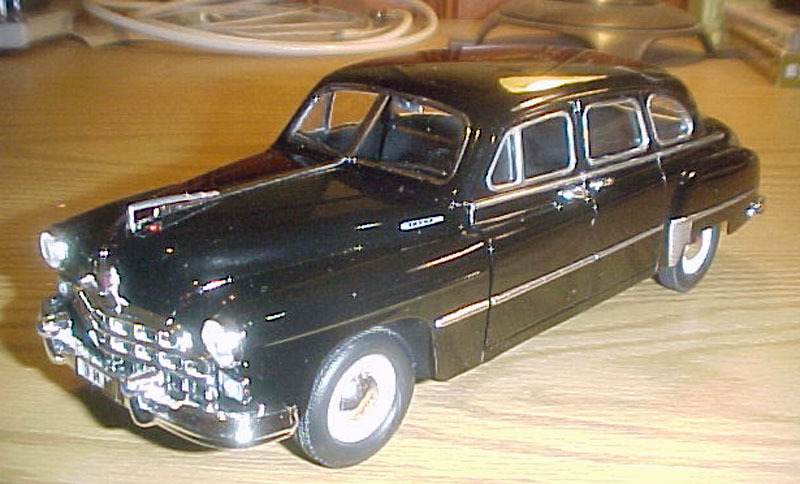 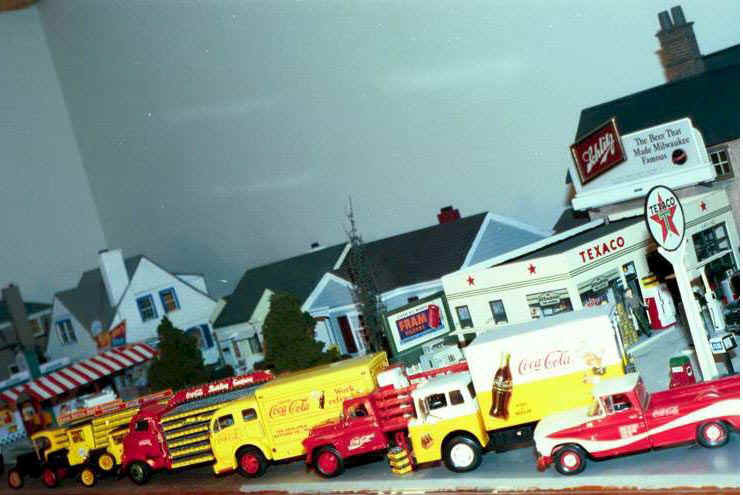 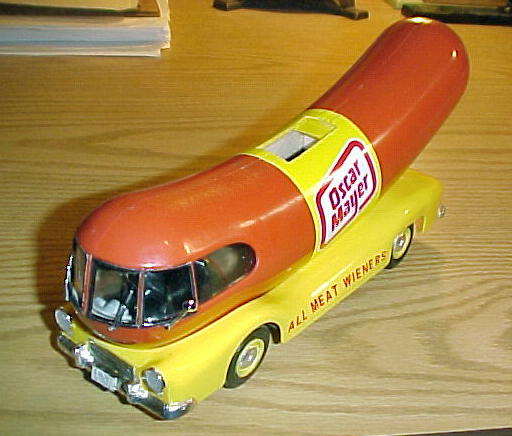 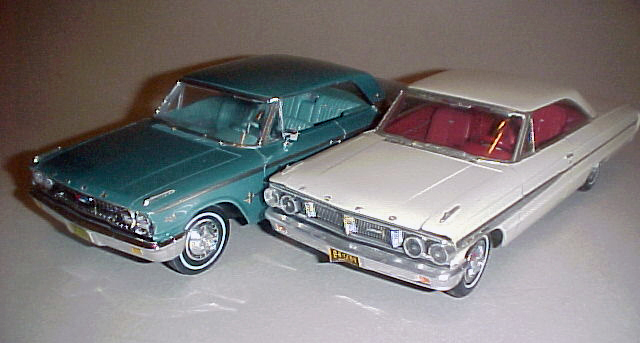 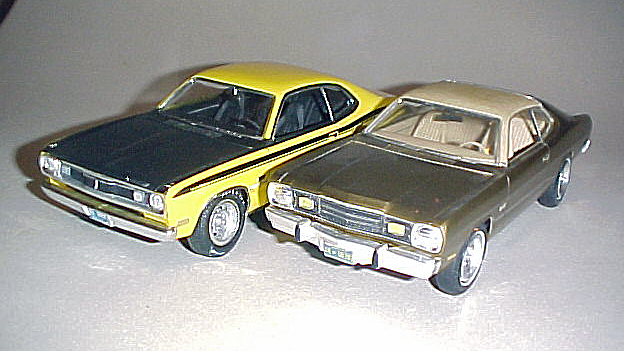 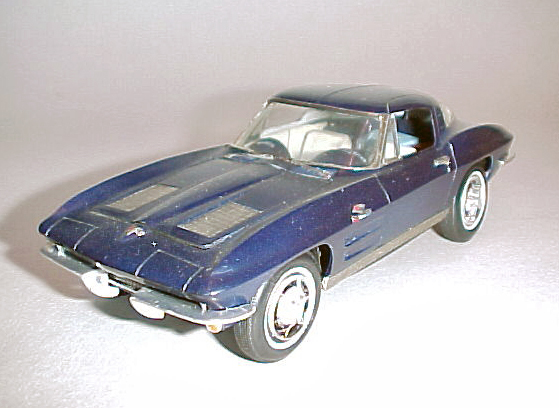 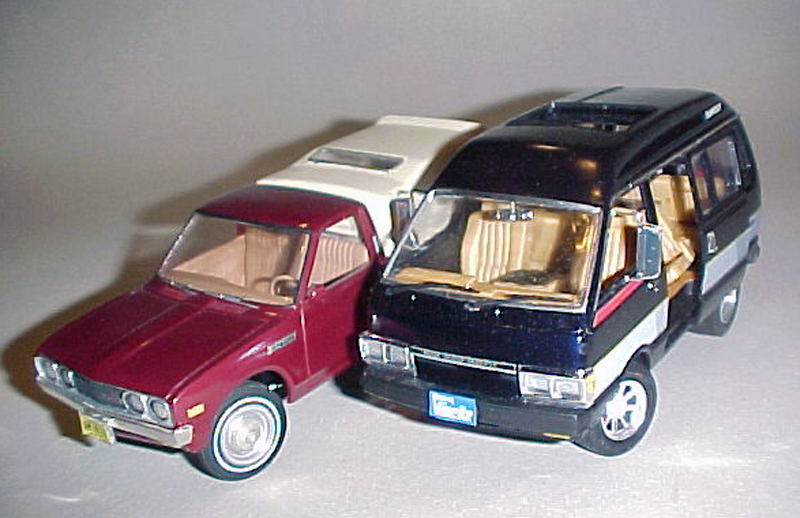 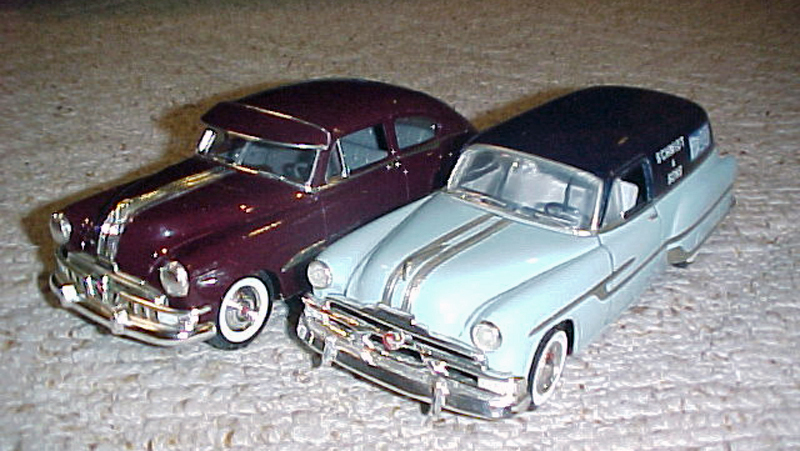 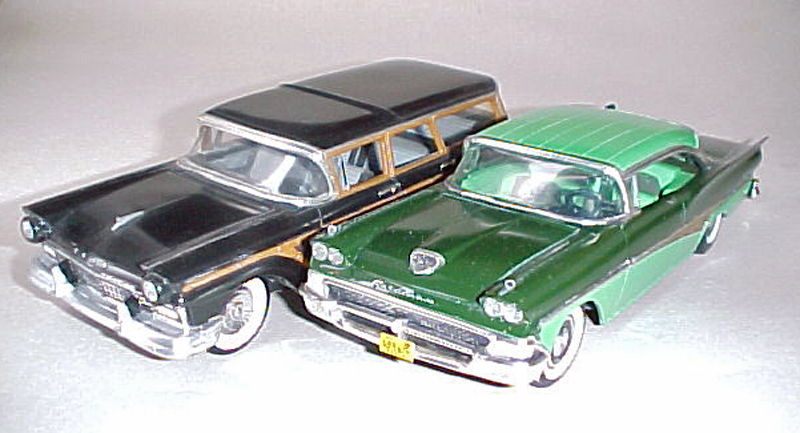 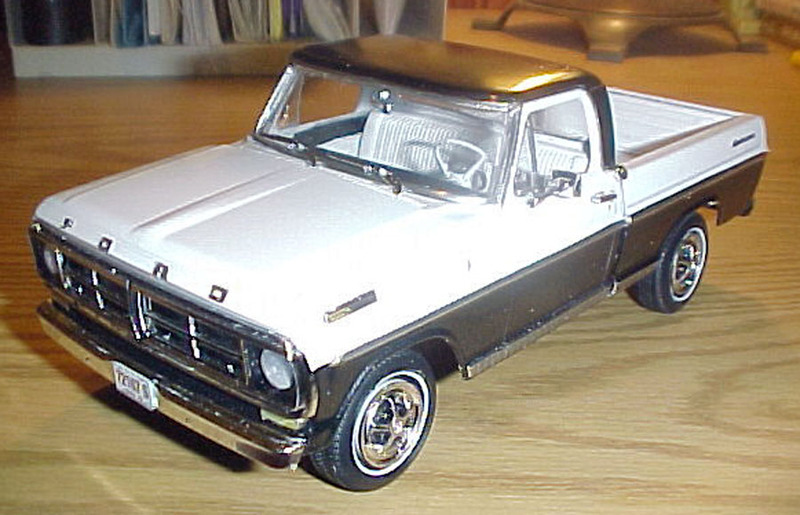 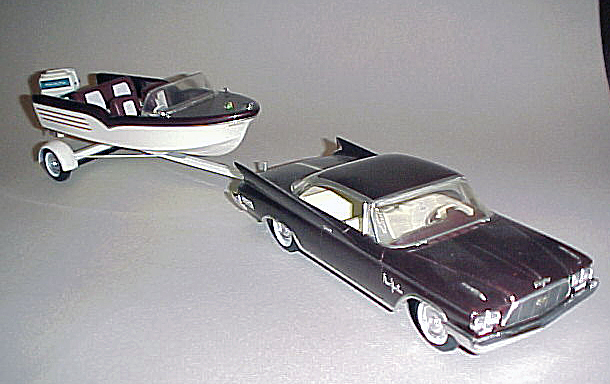 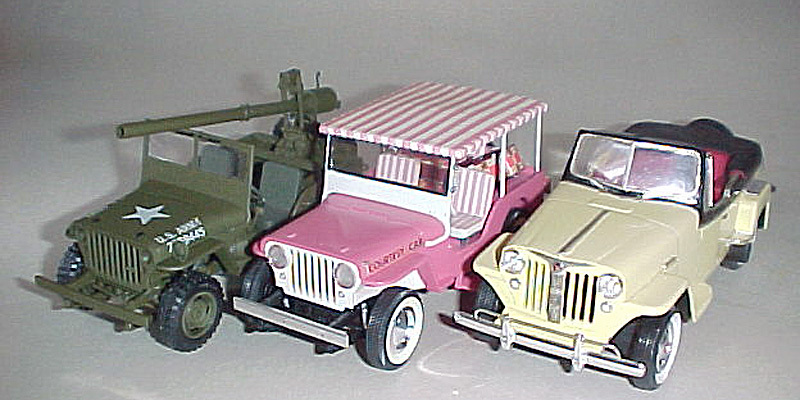 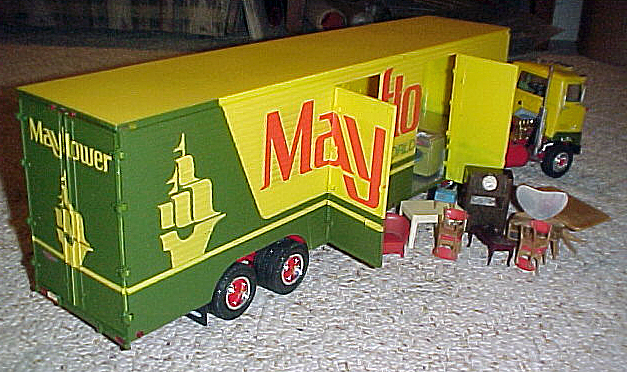 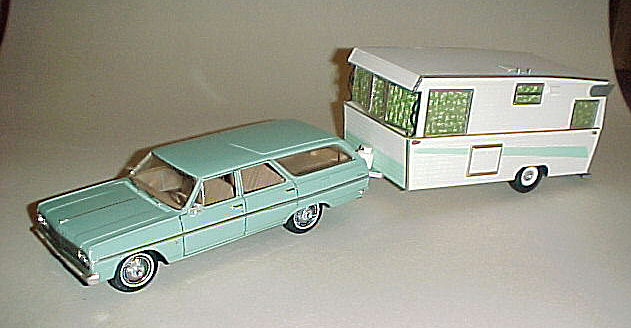 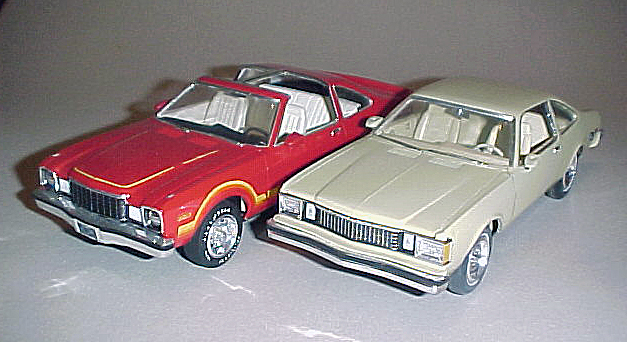 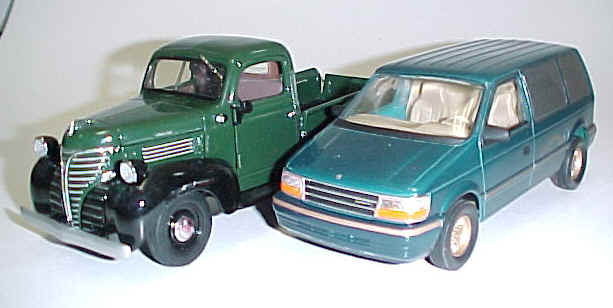 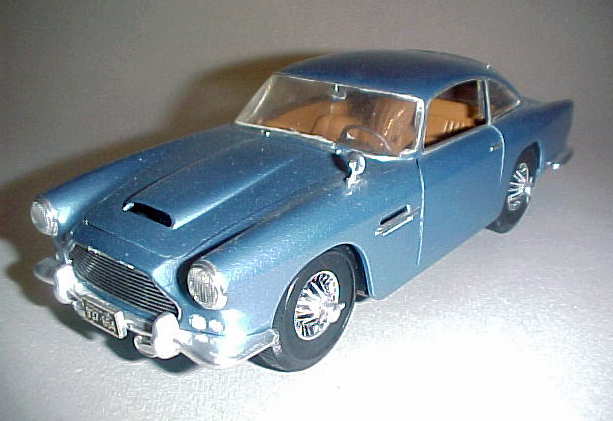 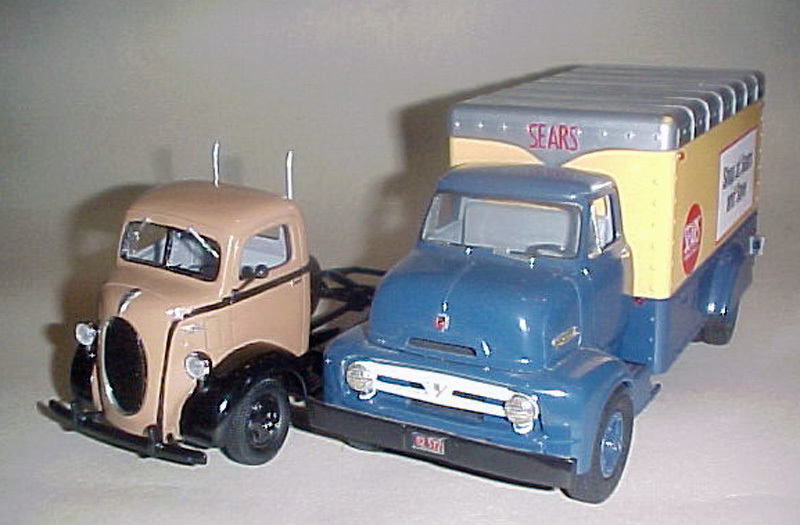 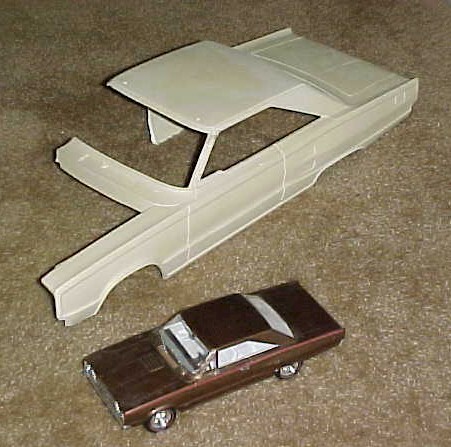 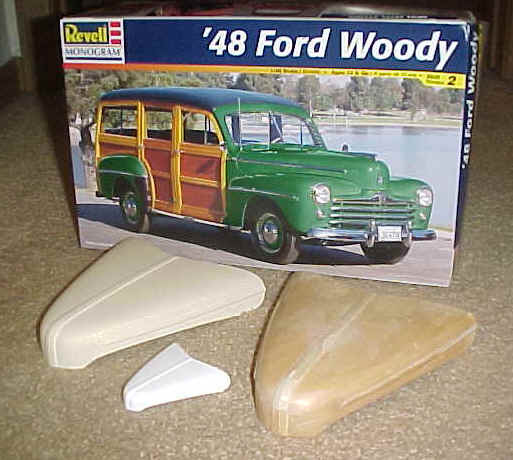 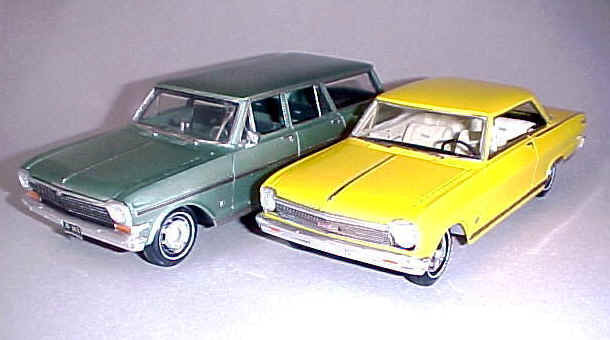 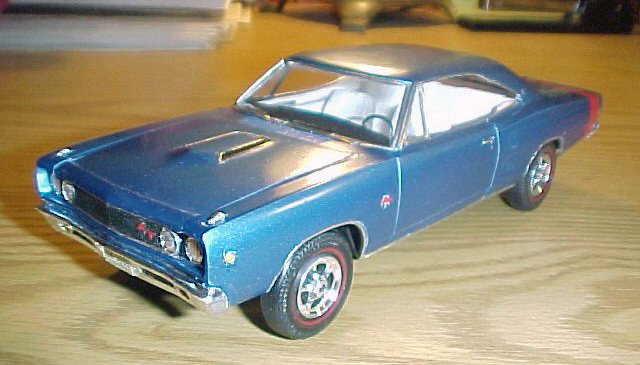 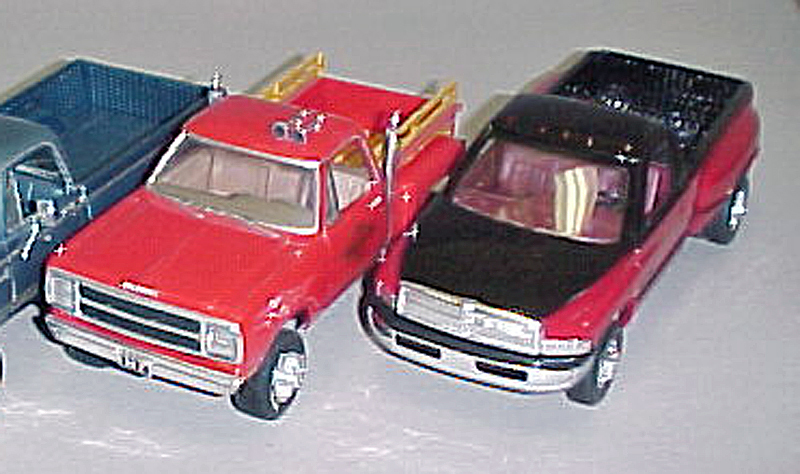 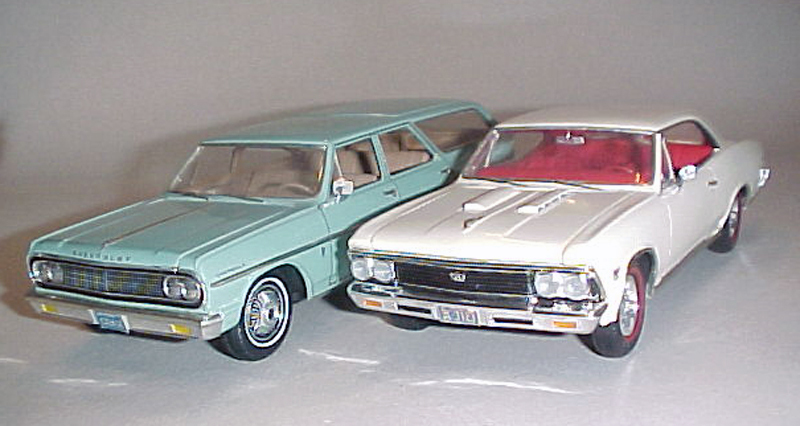 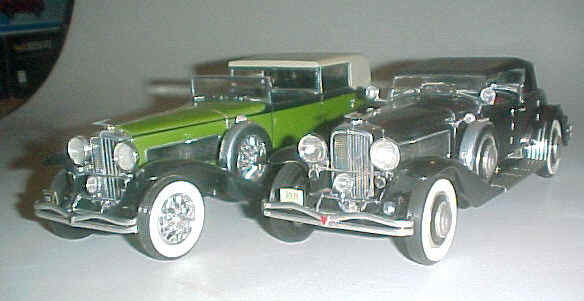 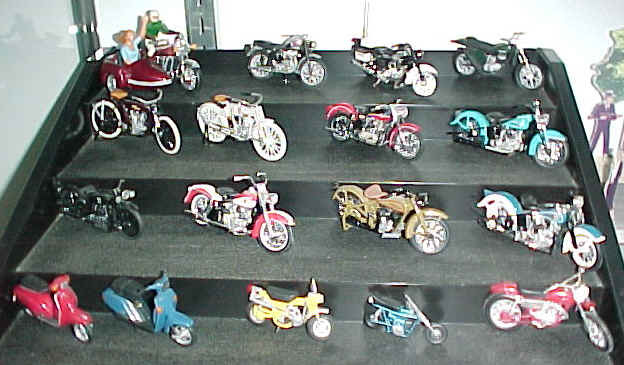 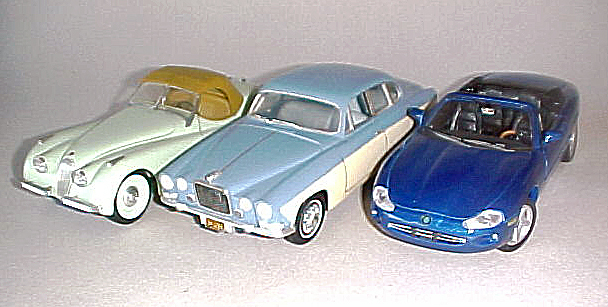 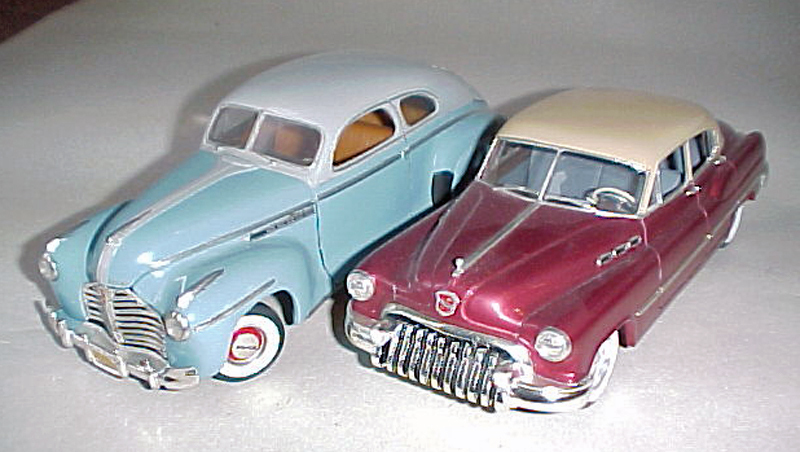 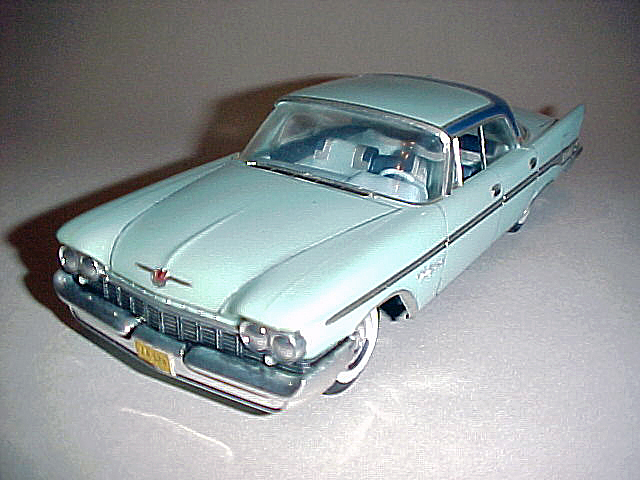 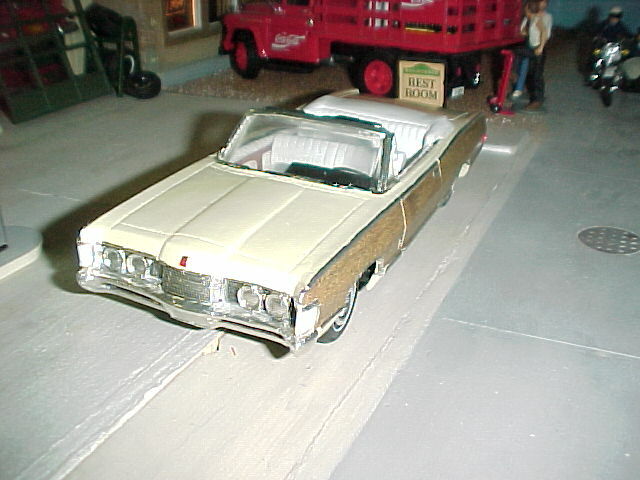 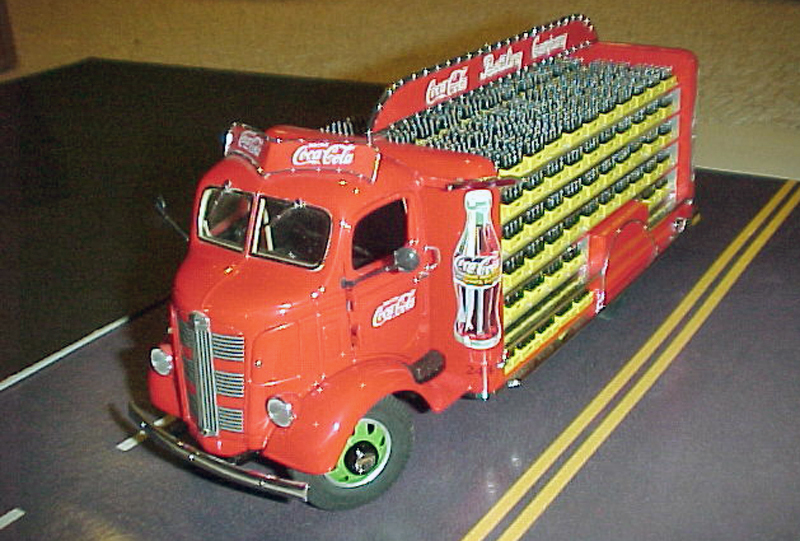 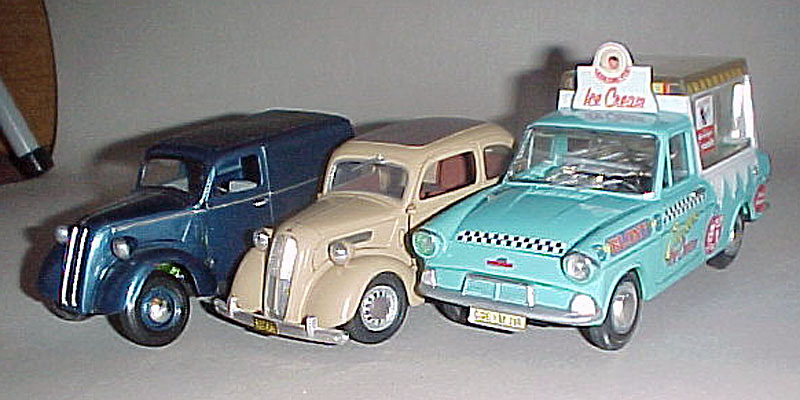 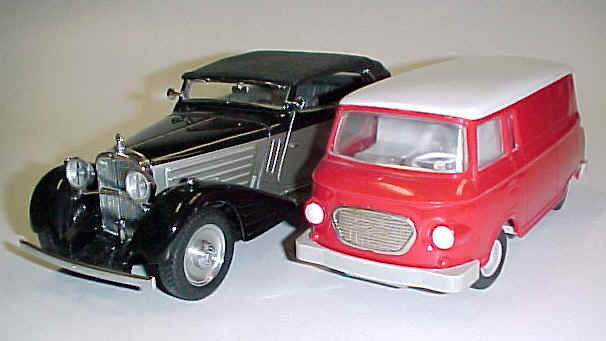 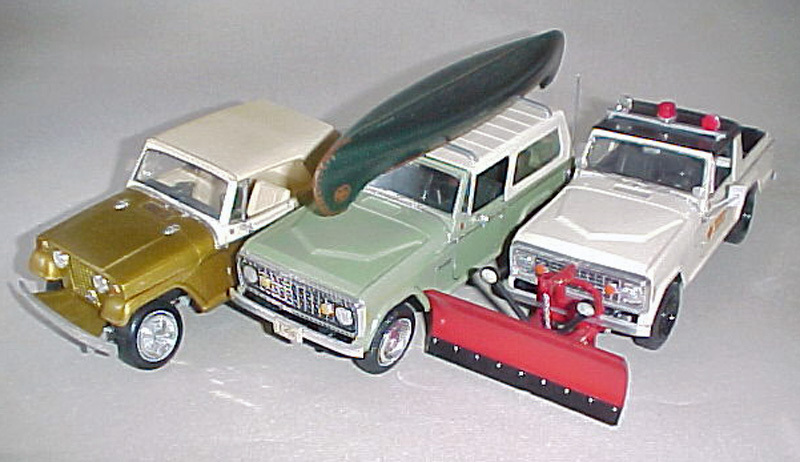 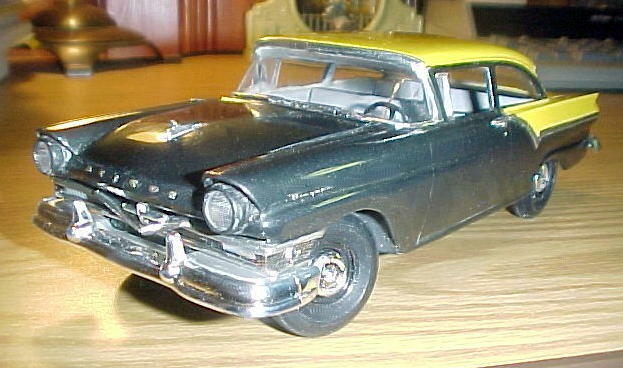 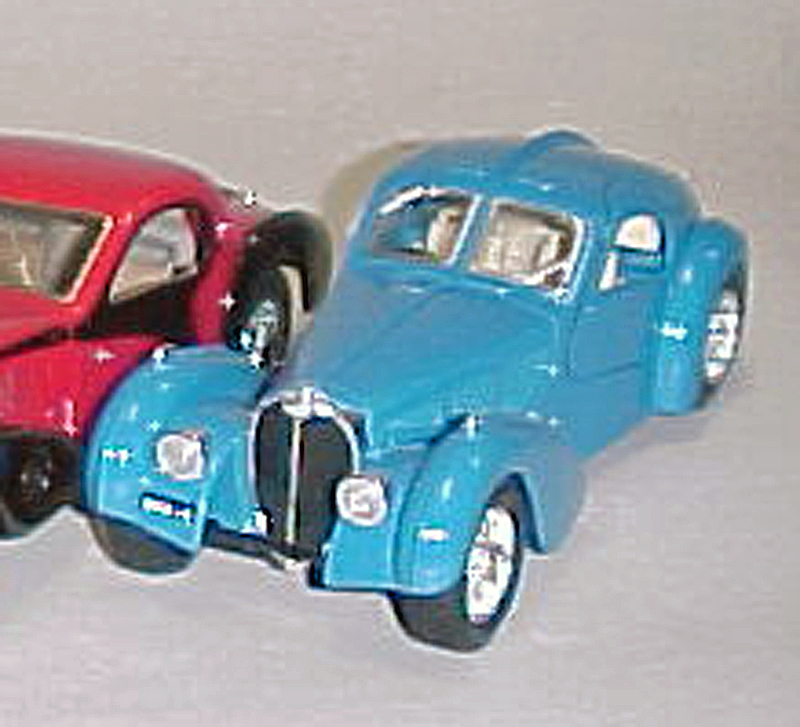 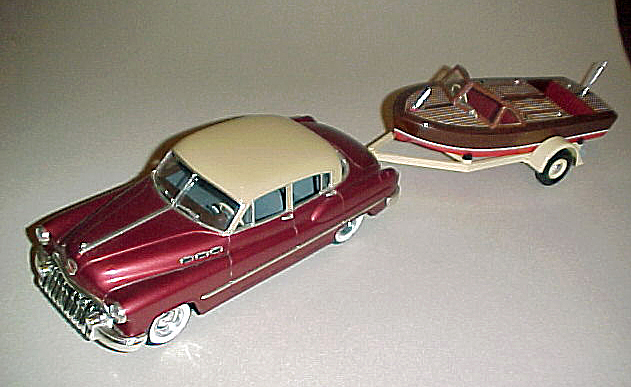 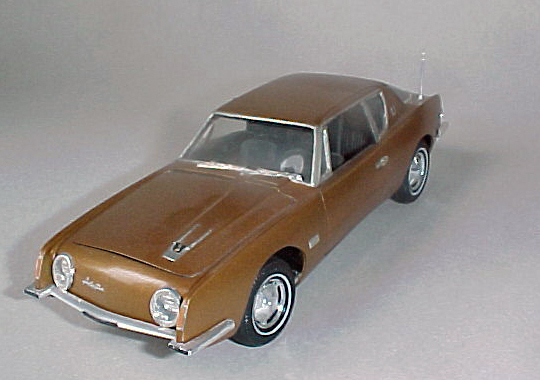 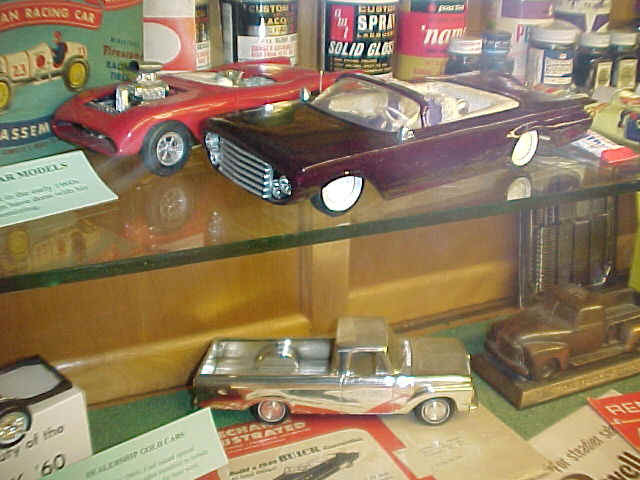 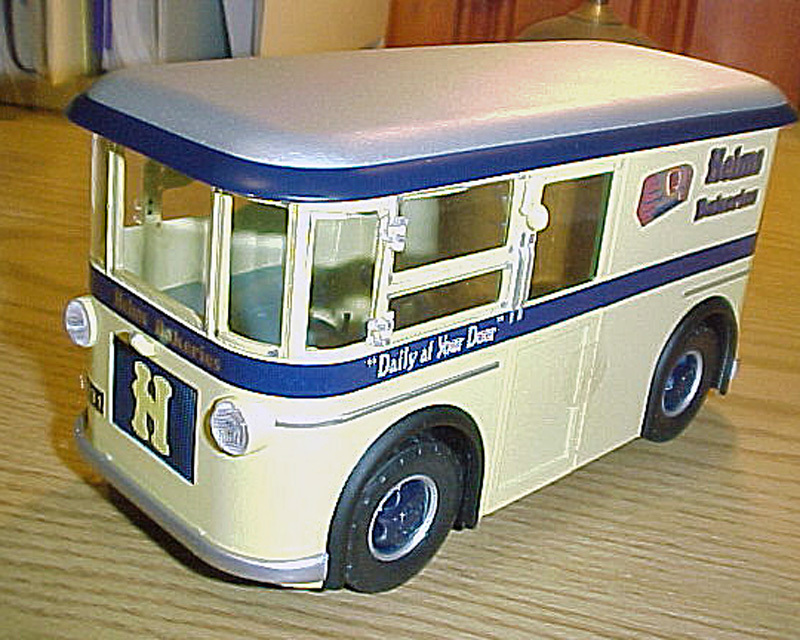 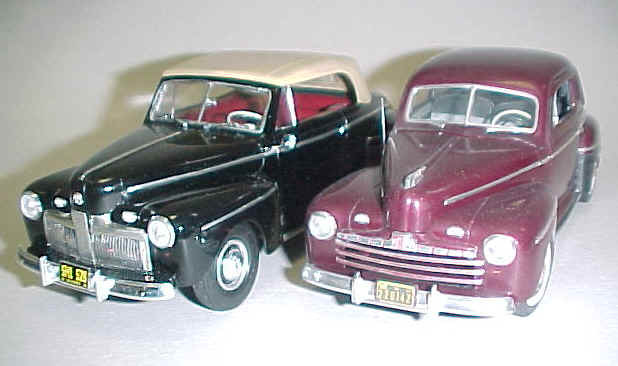 Examples of early customized model cars from the 1960s, the hey-day of customizing.